The BSA Recreational Soccer invites you to register your child in its recreational soccer league where the goals are for all players to have fun, play safely, and learn the fundamentals of soccer, sportsmanship and teamwork. We have two playing seasons -- the fall season that is played at Sugar Hollow in September and October and the spring season that is played at White Top Creek Park in April and May. The deadline for registering for the Spring 2019 season is February 28. Teams will be filled on a first come first serve basis. We can not guarantee that players will be place on a team after registration ends. To provide a recreational soccer league for school age children that emphasizes fun, sportsmanship, teamwork, and development of each player’s soccer skills. To promote the playing of soccer by Bristol area youth. Whenever possible, teams are formed based on grade and school, if there are enough players from the same school and registration is completed on-time. Each player will play in the correct age group. The coaches are volunteers and are generally parents. Please let us know if you would like to coach. A coach will contact you in late August for fall season and late March for the spring. Pre-K and Kindersoccer teams play six games. All other grade levels play an eight-game season. Every child plays a minimum of half of each game. Each player must have shin guards. Tennis shoes or soccer shoes are acceptable; baseball or football cleats are not allowed. Mouthpieces are optional. Players should each have their own ball for practices. Players registered in the fall keep their shirt for use in the spring season.  The registration fee helps cover the expenses of the recreational program including referees, coaches training, field maintenance, communication, participation gift, team shirts, and other expenses. The processing fee is non-refundable. Registration deadline is February 28th. The cost for the spring season is $73. Games will be played in April and May at Whitetop Creek Park in Bristol TN. External links are provided for reference purposes. Bristol Soccer Association is not responsible for the content of external Internet sites.